The following is the 76th update to my comprehensive, ongoing compendium of constant predictions and prognostications regarding the supposed inevitability and imminence of an alleged Iranian nuclear weapon, hysterical allegations that have been made repeatedly for the past three decades. Citing the latest hysterical analysis of Iran's nuclear program by the Institute for Science and International Security (ISIS), David Albright's Washington D.C.-based propaganda outfit, the Jerusalem Post exclaims that "Iran is expected to achieve a 'critical capability' to produce sufficient weapon-grade uranium by mid-2014, without being detected." While pretending to advocate merely for a stricter IAEA inspection regime and the limiting of the number of centrifuges Iran is allowed to install and operate, Albright & Co. cry that Iranian progress "is unlikely to be prevented simply by instituting better inspections, whether through increased inspection frequency, remote monitoring, or even implementation of the the Additional Protocol." The report laments that, if the United States and Israel don't launch an illegal, unprovoked military assault on Iran "out of fear of facing international opposition," consequently "Iran could have time to make enough weapon-grade uranium for one or more nuclear weapons." Thus, the alarmists of ISIS conclude that "IAEA inaction or caution could make an international response all but impossible before Iran has produced enough weapon-grade uranium for one or more nuclear weapon." Meanwhile, a recent Al Monitor report exposes the agenda dripping from ISIS' analysis. Earlier this month, IAEA Deputy Director Herman Nackaerts explained to reporter Barbara Slavin that "'we would know within a week' whether Iran was diverting uranium from declared sites and seeking to enrich it to weapons grade level." Nackaerts, who is also head of the IAEA's Department of Safeguards, said that "[t]here are two to six IAEA inspectors on the ground in Iran every day...covering 16 Iranian facilities. On average, he said, that means that an inspector visits Iran's enrichment plants at Natanz and Fordow once a week. If there are suspicions about any improper activities, they can go more often, he added. In order to sufficiently hand-wring about the Iranian program, "ISIS has recommended that inspections should increase to at least twice per week at Iran's enrichment facilities." As expected, neoconservative Likudnik warmongers over at Commentary Magazine are licking their lips and using Albright's nonsense to bolster their calls for mass murder and war crimes. Writing today, contributing blogger Evelyn Gordon calls the ISIS report the "best argument I've yet seen for bombing Iran's nuclear facilities imminently." Gordon is an American émigré to Israel, former Jerusalem Post reporter and current Visiting Fellow at the extreme right-wing Jewish Institute for National Security Affairs. By early 2011, Secretary of State Hillary Clinton claimed, "We have time, but not a lot of time." The following year, a Weekly Standard opinion piece co-authored by William Kristol declared, "Time is running out" and called "for Congress to seriously explore an Authorization of Military Force to halt Iran’s nuclear program." Soon thereafter, Commentary Magazine's Jonathan Tobin warned that, without the United States issuing an explicit military threat, "time may soon run out on any chance for the West to stop Iran," while this past March, Israeli Prime Minister Benjamin Netanyahu eloquently stated that "whatever time is left, there's not a lot of time." In June 2012 interview with CNN, Israeli President Shimon Peres stated his belief that the "military threat" issued to Iran so far has not been credible enough. "The Iranians think that this is just a warning, that people are not serious enough," he told Elise Labbot. "If the Iranians will understand seriously that this is an option, maybe we shall not need it," he added. "If they think this is a bluff, then it may lead to a war." When asked "how long" the Iranians have until they are attacked, Peres replied, "I think time is out because they continue to build a bomb," hedging a minute later, saying, "I think time is beginning to run out." "In short," Gordon concludes in Commentary, "either military action is taken in the coming months, or a nuclear Iran will be inevitable. There is no more time to waste." In truth, it's time to hit the snooze button. 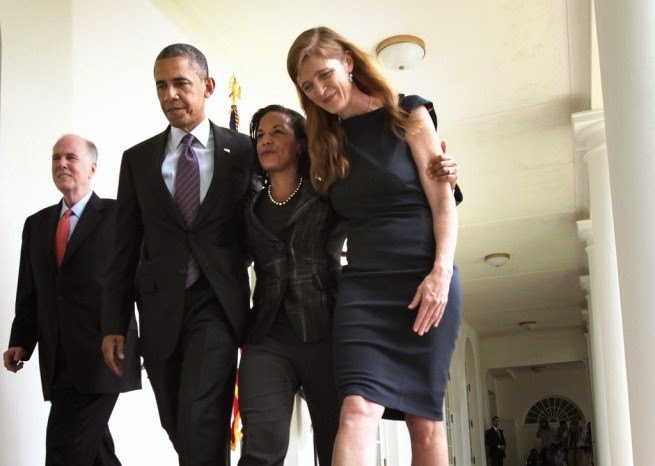 In her first appearance before the Senate Foreign Affairs Committee, Samantha Power, Obama's pick for next U.S. Ambassador to the United Nations, made clear that she will spend her time in the role much as her predecessor Susan Rice did: acting as Israel's consummate defender, fear-mongering about Iran, and opposing any move to champion Palestinian human rights or self-determination. Rice, who has been appointed as Obama's National Security Adviser, has said repeatedly that the American delegation to the UN "often works in 'lockstep' with the Israeli delegation" and spends "an enormous amount of time defending Israel's right to defend itself and defending Israel's legitimacy." "It's an issue of utmost and daily concern for the United States," she declared last year. A few months ago, she reiterated this point, insisting that her role as an apologist for the Israeli government is "a huge part of my work to the United Nations" and that the United States "will not rest in the crucial work of defending Israel's security and legitimacy every day at the United Nations." Power has already proven herself a loyal replacement, disavowing any semblance of past critical thinking when it comes to Israeli human rights abuses and abrogation of international law and opposing fear-mongering about Iran's nuclear program. It is no surprise Washington hawks, Zionist ideologues and even the Israeli government are falling over themselves to sing her praises. In her confirmation hearing yesterday, Power revealed her adherence to AIPAC talking points, essentially working her way down the tried and true list of boilerplate phrases. "The United States has no greater friend in the world than the State of Israel," she said, adding, "Israel is a country with whom we share security interests and, even more fundamentally, with whom we share core values – the values of democracy, human rights, and the rule of law." "America has a special relationship with Israel," she stated, to the surprise of no one and the consternation of George Washington's ghost. "I will stand up for Israel and work tirelessly to defend it," she promised in her prepared statement. She later reiterated her vow: "I commit to you wholeheartedly to go on offense as well as playing defense on the legitimization of Israel," she declared to the assembled U.S. Senators. 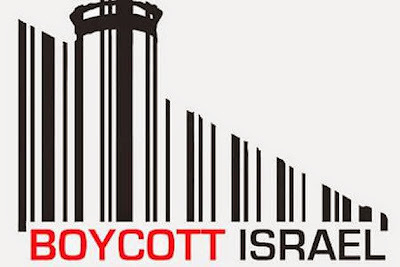 "...within this organization built in the wake of the Holocaust – built in part in order to apply the lessons of the Holocaust – we also see unacceptable bias and attacks against the State of Israel. We see the absurdity of Iran chairing the UN Conference on Disarmament, despite the fact that its continued pursuit of nuclear weapons is a grave threat to international peace and security." With this statement, Power, in her eagerness to check off all the buzzword boxes prescribed by AIPAC, directly contradicts the consistent assessment of the United States' own intelligence community, which has repeatedly concluded that Iran is, in fact, not pursuing a nuclear weapons as it has no nuclear weapons program. Early last year, an unnamed U.S. intelligence official told the Washington Post that Iran has not decided to pursue nuclear weapons, explaining, "Our belief is that they are reserving judgment on whether to continue with key steps they haven't taken regarding nuclear weapons." At the time, Secretary of Defense Leon Panetta affirmed this position, admitting, "Are they trying to develop a nuclear weapon? No." Soon thereafter, the New York Times reported, "Recent assessments by American spy agencies are broadly consistent with a 2007 intelligence finding that concluded that Iran had abandoned its nuclear weapons program years earlier." This, the paper noted, "remains the consensus view of America's 16 intelligence agencies." Either Samantha Power is an idiot or she's lying. And she's not an idiot. In fact, there was a time when Power wasn't so confident in making such a declarative statement. In a 2008 interview with Miller-McCune, Power noted that she was "not an expert on Iran," but condemned the "American sabre-rattling" of the George W. Bush administration. "The threats – implicit and explicit – of U.S. military action have united very diverse secular, Islamist and nationalist strands" within Iran, she said, adding that American "belligerence" had "backfired." When asked specifically about whether she thought "Iran is trying to create nuclear weapons," Power replied, "It would surprise me if they weren't, but I don't know." Still, she disparaged the findings of the National Intelligence Estimate and simply assumed Iran "would see as in its interests to amass as much firepower as possible," due to the foreign threats it faces. Nevertheless, she stated, "It does not seem as though the Iranian regime is close to possessing nuclear weapons" and said that "when U.S. leaders claim Iran poses an imminent threat, they are not currently heard as credible." Now, five years later, Power sounds exactly like Bush's own UN Ambassador, perennial Iran hawk John Bolton, who in 2006, insisted to the UN Security Council that "Iran had defied the international community by continuing its pursuit of nuclear weapons" and that this "pursuit of nuclear weapons constituted a direct threat to international peace and security." Furthermore, Power's incredulity regarding what she deems the "absurdity of Iran chairing the UN Conference on Disarmament," betrays her own ignorance on Iran's constantly repeated stance regarding nuclear nonproliferation and disarmament. Iran has long championed a Nuclear Weapons Free Zone (NWFZ) in the Middle East and is a party to all disarmament treaties on weapons of mass destruction, including the Biological Weapons Convention, Chemical Weapons Convention, and the Nuclear Non-Proliferation Treaty. Israel, however, is not a member of any of them. Last year, Iranian Foreign Minister Ali Akbar Salehi stated that Iran fully supports the establishment of a NWFZ, but that Israel, and its American backers, presented the "only obstacle to the creation of such a zone...due to its persistent refusal to join the NPT and to place its nuclear facilities under the IAEA safeguards system." Earlier this month, at the "International Conference on Nuclear Security: Enhancing Global Efforts" held in Vienna, Iran's Ambassador to the IAEA, Ali Asghar Soltanieh reiterated his nation's commitment to universal nuclear disarmament. "The best guarantee for nuclear security is definitely a world free from nuclear weapons," he said, "as a result of which nuclear disarmament process could reinforce nuclear security efforts." The United States consistently blocks crucial international conferences dedicated to nuclear non-proliferation for the sole purpose of protecting Israel's massive nuclear arsenal from scrutiny. Samantha Power has surely embraced her new role in Turtle Bay as Israel's stalwart apologist, going to so far as to promise her Congressional interlocutors that she will push for Israel to gain a seat on the United Nations Security Council as a representative of - get this - the Western European bloc of nations, despite being located in the Levant, which is indisputably in the continent of Asia and far to the East of even Eastern Europe from which it is separated by hundreds of miles of water. Abe Foxman, the Anti-Defamation League's hasbarist-in-chief, once called Susan Rice a "gladiator" fighting in the United Nations on behalf of Israel. There is no question Samantha Power will, for the sake of our "special relationship" and "shared values" with an aggressive, nuclear-armed, settler-colonial apartheid state, similarly take up the sword and continue to unleash hell on the entire Middle East. "[An Iranian nuclear bomb] was a lot further away 15 years ago when I started talking about it. It was a lot further away 10 years ago. It was a lot further away five years. It was a lot further away five months ago. They are getting there, and they are getting very, very close." "Red line, white line, black line and the like is for children. This is the level of this guy's character." 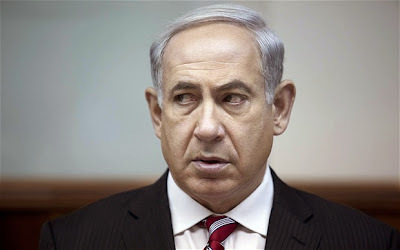 Israeli Prime Minister Benjamin Netanyahu took to the Sunday morning airwaves to spout tired talking points about the non-existent threat Iran's safeguarded, civilian nuclear program poses to Israel, the United States, and presumably Neptune and Krypton. In a renewed propaganda blitz, Netanyahu told CBS' Bob Schieffer on "Face the Nation" that Iran is getting "closer and closer to the bomb," and resurrected a number of embarrassing phrases including "red line," "credible military threat" and something about ticking clocks. "They're edging up to the red line," Netanyahu said. "They haven't crossed it yet. They're also building faster centrifuges that would enable them to jump the line, so to speak, at a much faster rate - that is, within a few weeks." He also said Iran is "building ICBMs [intercontinental ballistic missiles] to reach the American mainland in a few years," which is a gross exaggeration, if not an outright impossibility. Dismissing the recent Iranian election as irrelevant to what he insists are devious Iranian intentions, Netanyahu called Hassan Rouhani, who will be inaugurated as Iran's new president on August 3, "a wolf in sheep's clothing," whose maniacal strategy will be, "Smile and build a bomb." The media carried the news with headlines like "Israeli PM threatens to strike Iran" and "Israel Increases Pressure on U.S. to Act on Iran," quoting Netanyahu as claiming that, when it comes to blah blah blah, "I won't wait until it's too late." We've been here before. It was boring then and it's boring now. "If sanctions don't work, they have to know that you'll be prepared to take military action -- that's the only thing that will get their attention," Netanyahu said, suggesting that Iranians are subhumans who only understand grunts and shoves, rather than rational actors preserving and protecting their inalienable national rights and refusing to back down to offensive and illegal demands made by serially-aggressive nuclear-armed bullies. Netanyahu urged the United States government to "make clear that the nuclear option" - whoops, Freudian slip of the war criminal's tongue - "the military option which is on the table is truly on the table," but lamented that there seemed to be "no sense of urgency" when it comes to stopping Iran from doing something every intelligence agency on the planet - including Israel's - says it's not doing. The Israeli Prime Minister and his military and political acolytes, have repeatedly called for the United States to issue a "credible military threat" against Iran. Netanyahu did so again at a Cabinet meeting prior to his appearance on "Face the Nation." Threatening - let alone committing - an unprovoked attack on Iran is unquestionably a violation of the United Nations Charter. Still, an obsession is an obsession and, at least, Netanyahu isn't ashamed of being obsessed. "Iran is the most important, the most urgent matter of all," he whined, before throwing up a silly hodgepodge of scary-sounding words in an attempt to be taken seriously. All the problems in the world - including Israel's ongoing colonization of Palestine - won't amount to a hill of beans, he cried, if the "messianic, apocalyptic, extreme regime" in Tehran acquires "atomic bombs." Of course, the often-repeated assessment of the U.S. intelligence community that Iran is not actually building a bomb and has no nuclear weapons program went unmentioned, as did the fact that Iran has supposedly been "a year or so" away from developing nuclear weapon for roughly a decade now. Unsurprisingly, "Face the Nation" host Bob Schieffer challenged none of Netanyahu's assertions; all the warmongering and propaganda was given a free pass. This is especially disappointing considering, in January 2012, then-Defense Secretary Leon Panetta told Schieffer himself when asked about Iran's alleged pursuit, "Are they trying to develop a nuclear weapon? No." Netanyahu has been leading the charge against Iran since the mid-1990s, warning of weapons programs that don't exist and calling for sanctions and explicit military threats. His talking points since then literally have not changed and are identical to those he used to encourage the United States to invade Iraq a decade ago. The suggestion that Iran would soon be in possession of, or be in a position to quickly manufacture, nuclear weapons has been in constant circulation for nearly three decades. In 1984, Iran was reportedly moving "very quickly" towards a nuclear weapon and could have one as early as 1986. By the early 1990's, the CIA predicted Iran was "making progress on a nuclear arms program and could develop a nuclear weapon by 2000," later changing their estimate to 2003. Israeli estimates have always been of an especially hysterical quality. In March 1992, The Jerusalem Report, noting that "Israel keeps a wary watch on Teheran's march to the Bomb," predicted that, "[b]y the year 2000, Iran will almost certainly have the Bomb." A few months later, Israeli Major General Herzl Budinger insisted that, unless "Iran's intensive effort to develop atomic weapons is not 'disrupted,'" it would "become a nuclear power by the end of the decade." Then-Israeli Foreign Minister Shimon Peres shared similar assessment later that year. On November 8, 1992, the New York Times reported Israel was confident Iran would "become a nuclear power in a few years unless stopped." An Israeli "senior army officer" feared "the Iranians may have a full nuclear capability by the end of the decade." On February 12, 1993, an Associated Press dispatch summarized a report from Israeli daily Maariv, which quoted "experts who predicted Tehran would have an atomic bomb within six years." One of these "experts" was Likud Party chairman Benjamin Netanyahu, who had recently claimed in an oped that Iran would have a nuclear weapon "by 1999" and would use such its "Islamic bomb" to destroy Israel. In March 1993, a Washington Post report headlined "Israel seeking to convince U.S. that West is threatened by Iran" noted that Israeli leaders attempting to push their American counterparts into taking a stronger stance on Iran. The article quoted then-Israeli Prime Minister Yitzhak Rabin warning of "megalomaniacal" Iran intent on establishing "a Middle East empire." The alarm was still ringing a couple of years later when, on January 11, 1995, Benjamin Netanyahu told a nearly empty Knesset hearing that "within three to five years, we can assume that Iran will become autonomous in its ability to develop and produce a nuclear bomb, without having to import either the technology or the material." His solution to this crisis? "[The nuclear threat] must be uprooted by an international front headed by the U.S. It necessitates economic sanctions on Iran," he declared. By 1996, Israeli assessments put an Iranian nuclear bomb four years away. One year later, they confidently predicted it would happen by 2005. By mid-2001, Israel was still holding fast to its 2005 deadline and reaffirmed such a warning in 2003. By 2004, however, an Israeli intelligence report determined that "within three years Iran would have the means to produce an atomic bomb by itself." In 2005, Israel's Defense Minister Shaul Mofaz said Iran was "less than one year away." At the same time, Israeli Military Intelligence's prediction was 2007, then 2008, later revised to 2012, then returned to 2008. In 2007, Israeli Military Intelligence said Iran would become nuclear weapons capable by mid-2009. A year later, the 2009 threshold referred to “an operable nuclear weapon,” rather than just capability. When 2009 rolled around, then-Prime Ministerial candidate Benjamin Netanyahu told an American Congressional delegation that Israeli “experts” determined Iranian nuclear weapons capability “was probably only one or two years away,” while Israeli Defense Minister Ehud Barak put the window of opportunity to stop Iran from acquiring nuclear weapons at a mere six to 18 months. At the time, Mossad chief Meir Dagan insisted, "the Iranians will have by 2014 a bomb ready to be used, which would represent a concrete threat for Israel." Later that same year, Brigadier General Yossi Baidatz, "argued that it would take Iran one year to obtain a nuclear weapon and two and a half years to build an arsenal of three weapons. By 2012 Iran would be able to build one weapon within weeks and an arsenal within six months." A month later, Netanyahu said, "Iran has the capability now to make one bomb or they could wait and make several bombs in a year or two." By 2010, some Israeli officials said Iran was only a year away from a bomb, some said it “one to three years away from having a breakout nuclear capability,” and others said it still had seven years to go. An unnamed “Israeli policy maker” revealed to Jeffrey Goldberg that Iran would have a nuclear weapon "nine months from June - in other words, March of 2011." In early 2011, the prediction jumped to 2015. Nevertheless, a year later, the Times of London claimed an Israeli security report assessed Iran may become a nuclear power "within a year," a conclusion subsequently confirmed by Ehud Barak. Six months later, in mid-2012, Barak suggested that it would take “several years” for Iran to “turn nuclear.” Shortly thereafter, Netanyahu reportedly put the “red line” of Iranian nuclear capability at just “a few months away,” later telling the United Nations in September (along with his trusty cartoon bomb drawing) that Iran would have “enough enriched uranium for the first bomb” by mid-to-late 2013. By October, Ehud Barak added an extra “eight to 10 months” to the timeline. Accompanying all of these predictions, of course, have been fever-pitched threats of an ever-imminent Israeli military strike on Iran and its nuclear infrastructure. In 2012, the predictions of such an illegal assault were especially incessant. Not a month went by without hysterical rumors of a new Middle East war in the offing. This past January, a new prediction emerged. McClatchy Newspapers reported that "Israeli intelligence officials now estimate that Iran won't be able to build a nuclear weapon before 2015 or 2016, pushing back by several years previous assessments of Iran's nuclear ambitions." The report is based on "[i]ntelligence briefings given to McClatchy over the last two months" which "confirmed that various officials across Israel's military and political echelons now think it's unrealistic that Iran could develop a nuclear weapons arsenal before 2015. Others pushed the date back even further, to the winter of 2016." In early March 2013, Netanyahu claimed that "Iran is getting closer" to his self-determined "red line" of nuclear weapons capability and is "putting itself in a position to cross that line very quickly once it decides to do so." Later that same month, in a joint press conference in Jerusalem with President Obama, Netanyahu warned of "Iran's relentless pursuit of nuclear weapons" before reiterating his position that "in order to stop Iran's nuclear programs peacefully, diplomacy and sanctions must be augmented by a clear and credible threat of military action." Soon thereafter, the Israeli press publicized claims by anonymous Israeli officials that "Iran could have the capability to build a nuclear bomb by July." Well, it's July, so Netanyahu tells us Iran is getting "closer and closer." Sadly, Netanayhu's tired propaganda never seems to elicit the glazed-over, yawning-inducing dismissal from the U.S. press that it so sorely deserves; rather, he gets to schedule high-profile interviews on major networks whenever he wants to reissue his warmongering bromides. A diplomatic cable sent from sent from the U.S. Embassy in Tel Aviv in 2005, published by Wikileaks, noted that, despite Israeli warnings that Iran would reach a critical nuclear weapons capability within six months, some Israeli "officials admitted informally that these estimates need to be taken with caution. The head of the MFA's [Ministry of Foreign Affairs] strategic affairs division recalled that GOI assessments from 1993 predicted that Iran would possess an atomic bomb by 1998 at the latest." Another cable from 2009 wondered whether "the Israelis firmly believe" their hysterical predictions about Iran's nuclear progress "or are using worst-case estimates to raise greater urgency from the United States." In truth, Netanyahu himself is increasingly viewed as an Israeli Chicken Little. In early 2013, McClatchy Newspapers reported that Israeli officials "have said there's a widening gulf between Netanyahu's remarks and the intelligence reports he receives," and quoted one unnamed "intelligence officer" as wondering, "Did we cry wolf too early?" While the alarmism will surely continue unabated, the answer is obvious. UPDATE: Neocon ideologue Elliott Abrams used some of the same formulations as Netanyahu when quoted in a 2010 Washington Post article. "The clock keeps ticking, and Iran gets closer and closer to a bomb," he said. When will we start seeing some new talking points? In honor of the eight anniversary of the Palestinian civil society call for boycotts, divestment and sanctions (BDS) against Israel, the Palestinian BDS National Committee has produced an incredible interactive timeline charting the success and growth of the movement. The timeline identifies over 200 landmark events and achievements for the BDS movement since April 2004. It’s not the settlers who are the primary culprits but rather those who cultivate their existence. All of Israel is immersed in the settlement enterprise, so all of Israel must take responsibility for it and pay the price for it. There is no one unaffected by the occupation, including those who fancy looking the other way and steering clear of it. We are all settlers. With every major step forward, though, there are often minor setbacks. The following open letter is being circulated to publicize and opposed Iranian filmmaker Mohsen Makhmalbaf’s participation in the Jerusalem Film Festival and his acceptance of an achievement award from the festival. We, the undersigned, are a group of Iranian scholars, artists, journalists and activists who are deeply concerned by the recent decision of Iranian filmmaker Mohsen Makhmalbaf to take part in the Jerusalem International Film Festival from July 4-13, 2013. 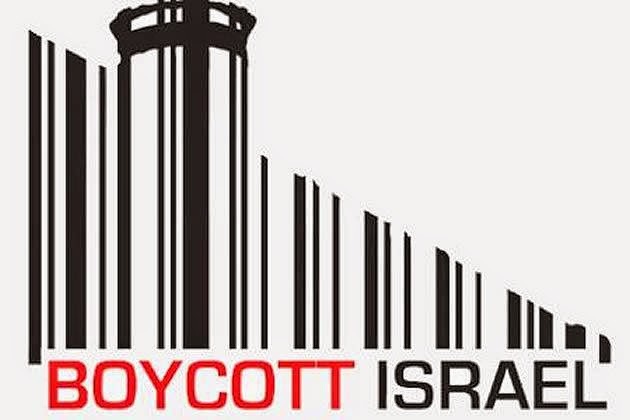 His participation directly violates the International call for Boycott, Divestment, and Sanctions (BDS) of the State of Israel issued by Palestinian civil society in 2005, as well as the specific call for Academic and Cultural Boycott of Israel issued in July 2004. As human beings of conscience, we are appalled by the brutality Palestinians undergo at the hand of Israeli occupation and we are supportive of the non-violent global BDS movement which seeks to pressure Israel to implement an equitable, just solution to the ethnic cleansing of 1948, the occupation of Palestinian lands since 1967, and the current implementation of an apartheid system. We are deeply dismayed at Mr. Makhmalbaf’s disregard for the global movement for Palestinian human rights and the implicit support for Israel’s apartheid policies that his decision to attend a film festival directly sponsored by the Israeli government represents, particularly given that he is being prominently honored by the festival with a special tribute. Mohsen Makhmalbaf is a prominent Iranian filmmaker who for years has depicted the harsh realities of the most marginalized sectors of Iranian society in vivid detail. His 1989 Marriage of the Blessed, for example, staged the reality of Iran-Iraq war and showed us the ethical and political struggles of ordinary subjects within violent contexts. He showed us how to bear witness to the reality of violence. His continued persistence on truth and justice has forced him into exile from his homeland. How can we forget what he himself taught us when the plight of the Palestinians today demands such a reckoning? We are deeply concerned that an artist so attuned to the brutalities of state violence in his homeland would have absolute disregard for the nonviolent global BDS movement and its work to peacefully pressure the Israeli state to respect Palestinian human rights. As Iranians who condemn the daily realities of oppression and state violence in Iran, we find it unconscionable that Mr. Makhmalbaf has accepted to take part in the Jerusalem International Film Festival. We would like to use this opportunity to remind Mr Makhmalbaf of the fact that Palestinian civil society has appealed to international artists not to take part in cultural events taking place in Israel while Israel continues to ignore United Nations resolutions, to flout international law, and to deprive the Palestinian people of their most elementary human rights. In the past three years many prominent artists have responded to the appeal by refusing to appear in Israel, and others who had initially accepted this invitation have cancelled their performances, preferring to show their support for the struggle of the Palestinian people against Israeli oppression. Performing in Israel today is a political statement. Israel openly admits to using cultural events as a propaganda tool, and we have no question that it will use Mr Makhmalbaf’s image for its global campaign to camouflage its systematic violation of the most basic human rights of the Palestinian people. Mr Makhmalbaf’s presence will be instrumentalized as a token for Israeli “tolerance” while Israel continues to implement the most intolerant of colonial policies against Palestinian people, and advocates the most unprecedented and crippling sanctions against Iranian people. Mr Makhmalbaf’s films will be screened before a segregated audience. Only a few of his Palestinian fans in Gaza or in the West Bank- to say nothing of the 4.5 million Palestinian refugees elsewhere who are similarly denied free movement in their homeland- will be allowed to come and watch this film. The Jerusalem International Film Festival is being held at Jerusalem Cinematheque, located in between three Palestinian villages that were ethnically cleansed by the State of Israel in 1948. The ruins of these villages today overlook the Cinematheque. We cannot forget, as the Israeli government wants us to, the history and the memory of Dayr Aban (1948 population: 2,436), Jarash (1948 population: 220), and Bayt Nattif (1948 population: 2,494), as well as the struggle of their refugee descendents who today number more than 30,000. We ask Mr. Makhmalbaf, whose movies are reminders of life in ruins and displacement to remember and bear witness to the continued displacement of Palestinians by the Israeli government by joining the BDS movement. As Iranians ourselves, we know the realities of state-sponsored oppression, violence and brutality against innocent civilians. This is especially true with regards to the Baha’i community, the subject of Makhmalbaf’s latest film. We recognize the repression that led to Mr. Makhmalbaf’s own exile, and we sympathize with his suffering as a filmmaker who has been persecuted by the Iranian regime. At the same time we insist again on the political and ethical responsibilities that we as human beings have to resist oppression and tyranny wherever they may be. We cannot in good conscience stand by Mr. Makhmalbaf and his decision which will inevitably validate the Israeli occupation, apartheid and ethnic cleansing. We ask not only that Mr. Makhmalbaf stand with the Boycott, Divestment, and Sanctions Movement, but that he be a messenger of liberation for everyone, including both Palestinians and Iranians. For a list of signatories to the open letter, go here. Embracing its recent removal from the U.S. State Department's list of designated foreign terrorist organizations, the Mujahedeen-e Khalq (MEK), an exiled Iranian terror cult with deep pockets and close ties to the Washington establishment, is attempting to ramp up the fear-mongering and propaganda over Iran's nuclear program following last month's election of moderate cleric Hassan Rouhani as the Islamic Republic's next president. In April 2013, the group opened an office in Washington DC and officially registered as a lobbying organization the following month. 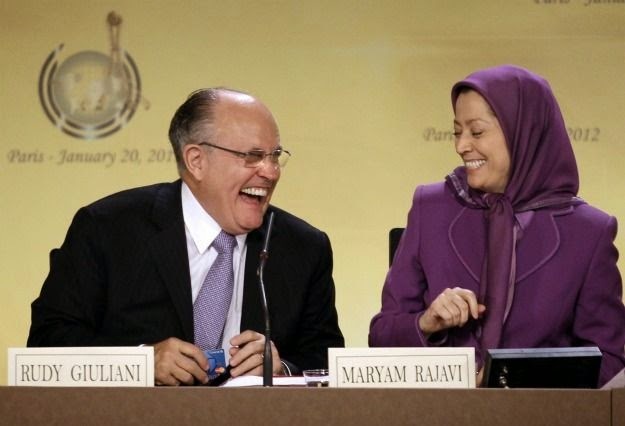 Now, a Reuters article from July 11, 2013 reported the MEK and its affiliate organizations such as the National Council of Resistance of Iran (NCRI) claim to have "obtained reliable information on a new and completely secret site designated for [Iran's] nuclear project," despite providing no credible evidence to back up the allegation. The supposed site is said to be "located in a complex of tunnels beneath mountains 10 km (6 miles) east of the town of Damavand, itself about 50 km northeast of Tehran." The MEK claimed that construction of the site began in 2006 and it was recently completed. "The site consists of four tunnels and has been constructed by a group of engineering and construction companies associated with the engineering arms of the Ministry of Defence and the IRGC (Iran's elite Revolutionary Guards force)," a statement from the terror group said. Unsurprisingly, the Iranian government immediately denied the allegations. As in nearly all media reports on the MEK, Reuters credits the group with having "exposed Iran's uranium enrichment facility at Natanz and a heavy water facility at Arak" in 2002. But beyond the fact that Iran's nuclear program was never a secret, this specific claim is untrue, as nuclear experts Jeffrey Lewis and Mark Hibbs pointed out back in 2006. In fact, the U.S. intelligence community had been tracking Iran's nuclear facility development for quite some time, notably its construction at both Natanz and Arak. Lewis notes that, in 2002, "someone leaked that information to an Iranian dissident group, the National Council of Resistance of Iran (NCRI), which then released the second-hand dope in a press conference where they got the details wrong." The information the MEK supposedly gleans from sources inside Iran are actually just leaks received from intelligence agencies in the United States and Israel. Since then, the MEK has not itself provided a single shred of credible information regarding Iran's nuclear program. Furthermore, in early 2007, an unnamed senior official at the International Atomic Energy Agency (IAEA) revealed to the Los Angeles Times, "Since 2002, pretty much all the intelligence that's come to us [from the United States about the Iranian nuclear program] has proved to be wrong" and has never led to significant discoveries inside Iran. "They gave us a paper with a list of sites. [The inspectors] did some follow-up, they went to some military sites, but there was no sign of [banned nuclear] activities," the official told The Guardian at the time. Additionally, the LA Times reported that "U.S. officials privately acknowledge that much of their evidence on Iran's nuclear plans and programs remains ambiguous, fragmented and difficult to prove." Additionally, the Associated Press reported this past May that, when it comes to accusations about the Iranian nuclear program and despite their terrible track record, "about 80 percent of the intelligence comes from the United States and its allies." Reuters, writing about the MEK's most recent revelation, noted, "The group released satellite photographs of what it said was the site. But the images did not appear to constitute hard evidence to support the assertion that it was a planned nuclear facility." Clearly, a non-state actor like the MEK doesn't have satellites of its own floating around in space taking pictures of Iranian mountains; it's obviously getting the information from government organizations with advanced spying resources. Though these latest claims by the MEK have garnered quite a bit of attention this week, they are, in fact, nothing new. Allegations about tunnel systems have long been a go-to source of alarmism over Iran's nuclear program. Back in January 2010, on the heels of promoting an opinion piece that explicitly advocated an unprovoked military attack on Iran, The New York Times' William Broad published a hysterical report, which claimed, "Over the past decade, Iran has quietly hidden an increasingly large part of its atomic complex in networks of tunnels and bunkers across the country." The report goes on to lament that Iranian efforts to protect their own nuclear infrastructure from military attack is viewed by the U.S. administration as "a stealth weapon, complicating the West's military and geopolitical calculus." Translation: it's harder to spy on things and then blow them up when they're not out in the open and that's annoying. "It complicates your targeting," said Richard L. Russell, a former Central Intelligence Agency analyst now at the National Defense University. "We're used to facilities being above ground. Underground, it becomes literally a black hole. You can't be sure what's taking place." Even the Israelis concede that solid rock can render bombs useless. Late last month, the Israeli defense minister, Ehud Barak, told Parliament that the Qum plant was "located in bunkers that cannot be destroyed through a conventional attack." Despite the decades of threats from the United States and Israel, then-U.S. Defense Secretary Robert Gates didn't realize the blistering irony when, discussing the heavily-fortified uranium enrichment site at Fordow, he said, "If they wanted it for peaceful purposes, there's no reason to put it so deep underground, no reason to be deceptive about it, keep it a secret for a protracted period of time." Later in his report, Broad describes Iranian President Mahmoud Ahmadinejad as a tunnel aficionado and quotes Greg Duckworth, a "civilian scientist" described as having "recently led a Pentagon research effort to pinpoint enemy tunnels," as saying, "Deeply buried targets have been a problem forever. And it's getting worse." As the January 2010 report continues, a familiar name emerges under the heading "An Opposition Watchdog." Who could that be? Broad writes, "In 2002, the National Council of Resistance of Iran, an opposition group, revealed that Iran was building a secret underground nuclear plant at Natanz that turned out to be for enriching uranium. Enrichment plants can make fuel for reactors or, with a little more effort, atom bombs." He goes on the sing the praises of NCRI for having announced "that Iran was digging tunnels for missile and atomic work at 14 sites" in 2005 and announcing "that Iran was tunneling in the mountains near Natanz, the sprawling enrichment site" in 2007, which he says was confirmed by satellite images. 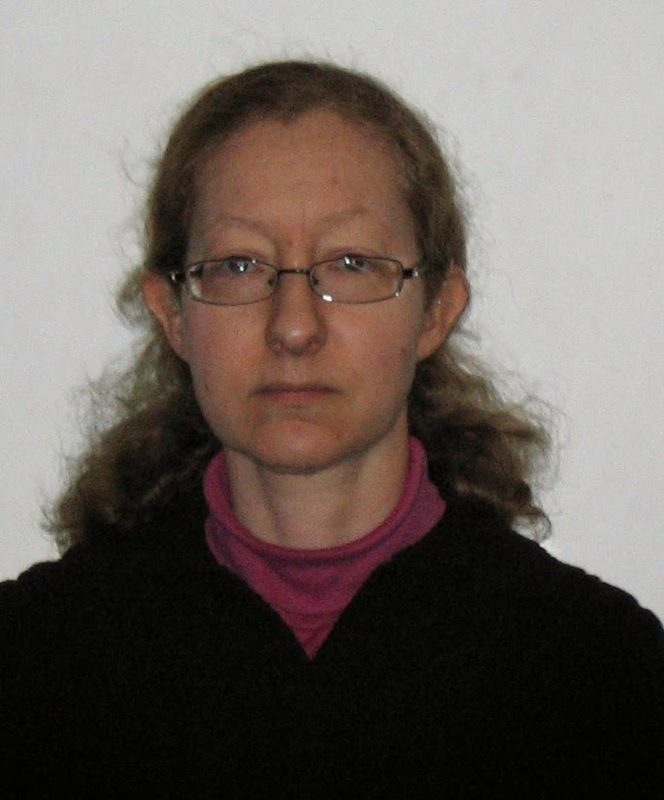 In December 2009, Broad writes that NCRI issued yet another report on "Iranian military tunneling," which claimed "Iran had dug tunnels and bunkers for research facilities, ammunition storage, military headquarters and command and control centers." "A group of factories" in the mountains east of Tehran, it insisted without providing proof, specialize in "the manufacturing of nuclear warheads." Broad even quotes the Los Alamos National Laboratory's Frank Pabian saying of the MEK, "They're right 90 percent of the time. That doesn't mean they're perfect, but 90 percent is a pretty good record." Mohamed ElBaradei, former IAEA Director-General, had a different take on the group. "We followed whatever they came up with. And a lot of it was bogus." In his reporting, William Broad never once identifies the MEK or NCRI as an officially designated terrorist group, which at the time they both were and had been for over a decade. To hammer home how deliberately alarmist the claims actually were, the Times even published the article with a photograph of a smiling Mahmoud Ahmadinejad and his entourage in red hardhats emerging from what is apparently supposed to resemble a steel-reinforced underground lair. Yet the photo is wholly unrelated to any of the allegations made within the report. The caption beneath of the picture reads, "President Mahmoud Ahmadinejad of Iran, center, at a highway tunnel near Tehran. Much of Iran's atomic work is also in tunnels." Yes, that really happened. In the New York Times. "Fit to print," indeed. The focus on Iranian tunnels leads inevitably to discussion of American military capabilities and the challenges faced by less vulnerable facilities. Broad, in his 2010 report, noted that the "Pentagon is racing to develop a deadly tunnel weapon" for such circumstances. That weapon, a "bunker buster" called a Massive Ordnance Penetrator, has since been completed and tested. These 30,000 lb. bombs, which require the use of depleted uranium to power their destructive capabilities, have not been sold to Israel for fear they might be used without American authorization. Clearly, the MEK's latest revelations are recycled claims (it said the same thing again in 2011) and, like before, are essentially allegations based on vague intelligence leaked to the group by American officials. The MEK merely acts as a laundering service for the unproven accusations of its handlers in the United States and Israel. Unfortunately, the mainstream press - even when skeptical about the information - continues to dutifully provide a platform for such propaganda and fear-mongering by publishing such accusations. An article in The Cairo Review of Global Affairs by Seyed Hossein Mousavian, a former ambassador who served as spokesman for Iran's nuclear negotiating team from 2003 to 2005 under Hassan Rouhani, outlines five options for addressing the stand-off between the United States and Iran over the latter's uranium enrichment and nuclear energy program. After an clear distillation of "the evolution of Iran's nuclear program and the core dispute with the West," Mousavian suggests the "new administration has five options for handling the nuclear stalemate and thereby also alleviating the effects of sanctions on the country." Continued diplomacy, shuttering its nuclear facilities, whether the storm of sanctions and economic warfare, and actually weaponizing its nuclear program to force a change in regional and global power dynamics resulting in containment and deterrence are all addressed and essentially dismissed. The fifth option Mousavian floats is that Iran could potentially "[w]ithdraw from the NPT and all WMD treaties" and merely "substitute the treaties with the supreme leader's religious fatwa banning all WMDs." "This move," Mousavian writes, "will relieve Iran of its treaty obligations, which have been used by the West to place further sanctions on Tehran," adding, "Withdrawing from the NPT has become an increasingly attractive option within the decision-making circles of the country." Moreover, the article explains - and rightly so - that the "history of Iran's nuclear evolution and the blatant use of double standards by the world powers to limit Iran's nuclear progress and deny its rights render the "non-compliance" [with the NPT] argument as yet another excuse to punish Iran." But Mousavian goes even further. "[S]ince the 1979 Revolution, the NPT has proven more harmful than beneficial for Iran," he states. "Instead, the NPT has effectively become a national security threat, whereby the West has used it as an instrument to bring Iran to the United Nations Security Council." As such, he concludes that, after leaving the treaty, "Iran can therefore lay a new foundation for non-proliferation, based on Islamic values and principles, embodied in the supreme leader's fatwa, and not on the NPT or other WMD conventions. In this way, the credit would go to Islam. As a goodwill measure, Iran would provide unfettered access to inspectors and declare its peaceful intentions. This would ensure Iran no longer permits the West to use the NPT and other WMD conventions as a means to press Iran and inflict economic, social, and political harm." This argument, surprisingly coming from such a consistently reasoned and rational diplomat like Mousavian, doesn't actually make much sense. In fact, while it's essentially the same suggestion that various Iranian parliamentarians have been making for a decade now out of frustration with Western duplicity and arrogance, Iranian policy towards the NPT has been consistent: as a charter member of the treaty, Iran abides by its tenets and will continue to do so. Iran has been a signatory to the Nuclear Non-Proliferation Treaty since it was first introduced in 1968. The treaty was ratified by the Iranian Parliament in 1970 and has been in force ever since. Over the past 45 years, Iran has never been found to have breached its NPT obligations. As I have detailed before, notions of Iran leaving the NPT surface whenever the nation is subject to nakedly politicized IAEA reports or threatened with sanctions and military attacks. And, like clockwork, when a politician makes such a statement, government officials step in to reaffirm Iran's commitment to international law and its treaty obligations. While Mousavian points to comments made in April by Alaeddin Boroujerdi, chairman of the Iranians Parliament's National Security and Foreign Policy Commission, about double standards and the possibility of Iran leaving the NPT, he ignores numerous other comments by senior officials reiterating the importance of the treaty. A couple of weeks after Boroujerdi's statement, the Iranian Foreign Ministry again affirmed its continued commitment to the Nuclear Non-Proliferation Treaty and its safeguard agreement with the IAEA. Responding to a statement by the five permanent, nuclear-armed members of the United Nations Security Council, which claimed the Iranian nuclear program constituted a "serious challenge" to the treaty, Iranian Foreign Ministry spokesman Ramin Mehmanparast reiterated that "Iran has continued its completely peaceful nuclear program under the permanent monitoring of the IAEA inspectors," adding, "We are a committed member of the agency. We were one of the countries which signed the NPT first. We comply with our commitments under the treaty." He also noted that Iran would continue its cooperation with the IAEA. Additionally, on April 22, Iran and the 119 other members of the Non-Aligned Movement (NAM) officially urged the total elimination of nuclear weapons, under the auspices of the NPT and its attendent obligations. In a statement delivered by Mohammad-Reza Sajjadi, Iran's UN envoy to Geneva, NAM - which is currently chaired by Iran - stressed that "possession, use or threat to use nuclear weapons all violated the UN Charter and international law, adding total elimination of nukes was the only guarantee against the use or threat to use such arms," according to Iran's PressTV. Furthermore, an interview with World Policy Journal from last year with Iran's Foreign Minister Ali Akbar Salehi, who is a former Iranian ambassador to the IAEA and head of Iran's Atomic Energy Organization, similarly addresses the allegations over the Iranian nuclear program by noting Iran's continuing obligations to the NPT. Rebuffing allegations that Iran has the intention to weaponize its nuclear program and build atomic bombs, Salehi explained, "Those who think that we may be using this technology for other purposes, this is their own, I would say, ill-thinking. What can we do? We have already stated over and over that we have not intended to do anything else. If we wanted to take that approach, we would have detached ourselves from the NPT [Non-Proliferation Treaty]. There is in the treaty an article which says whoever is in the NPT, if they wish, they can get out of it with three months notice, and then free of the NPT, we could do whatever we wanted to do." But on the contrary, we are stressing the preservation of the integrity of the NPT, because we believe that the NPT is in our interest. The stronger the NPT becomes, the more immune we become to possible proliferation of nuclear weapons in the region and in other places in the world. And here our Supreme Leader has issued a fatwa, which says the production, accumulation, and the use of weapons of mass destruction including nuclear weapons is forbidden and is against religion. But you see, we have the right to enrich to any percentage we want under the NPT. This appeal to Khamenei's religious prohibition on nuclear weapons may sound akin to the argument made by Mousavian; however, Salehi returns to this point later in the interview, stating clearly that Iran is "ready to recognize the concerns of the West and to try to mitigate them using all the possible instruments that are available." He suggests Iran's implementation of the IAEA's Additional Protocol and Code 3.1, which would improve transparency and monitoring access for the agency. 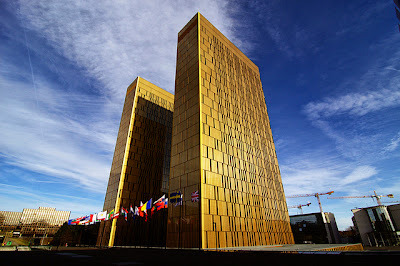 More strikingly, though, was another offer Salehi made, one that directly refutes Mousavian's suggestion that a religious decree can hold the same status as an internationally-recognized declaration. He said Iran would even consider "translating the fatwa of the Supreme Leader into a secular, binding document that would bind the government to this fatwa, to which it is already bound, but which some in the West argue is a religious document, not a secular one." He continued, "But we are ready to transform it into a legally binding, official document in the UN. And so we are ready to use all means and mechanisms and conventions or safeguards to remove the concerns of the other side." And then, although we keep the right to enrichment to any level, but as our president has said, we are ready to voluntarily limit ourselves to five percent on the condition that we are given firm guarantee that whenever we need fuel whose enrichment is more than five percent that it would be supplied by the other side, by the other party. So I think if we have good intentions, if both sides have the will to get over this issue, it is possible. We remove your concern; you recognize our right. What else do we have to do? Just last month, in a statement before the IAEA Board of Governors, Ali Asghar Soltanieh, Iran's ambassador to the agency, pointed out the politicized duplicity of the agency with regards to its own commitments under the NPT, the obligations of nuclear-weapons states and Iran's civilian nuclear program. Soltanieh declared unequivocally that "all nuclear activities including uranium enrichment in Iran are exclusively for peaceful purposes and as the Supreme Leader of the Islamic Republic of Iran has in several occasions declared that nuclear weapon is religiously forbidden and thus it has no place in our defense doctrine." He further noted, "Iran is committed to the NPT and its obligations under the Comprehensive Safeguards Agreement (INFCIR/214)." Two weeks later, Iranian Foreign Ministry spokesman Seyyed Abbas Araqchi again affirmed Iran's continued commitment to the NPT and to its safeguards agreement with the IAEA. Speaking with reporters on June 18, Araqchi said, "Iran adheres to its commitments within framework of the Non-Proliferation Treaty and the Safeguards Agreement, and will continue its cooperation with the Agency." Addressing demands made of Iran that exceed the IAEA's legal mandate, namely the request to inspect the military complex at Parchin, he added, "If the International Atomic Energy Agency's expectations are beyond Iran's obligations [under the NPT], this will require the definition of a new framework which we are currently negotiating." In September 2012, Ali Larijani, Speaker of the Iranian Parliament and a frequent critique of Western manipulation and politicization of international law, told the Financial Times that "even though 'there is this serious question' among Iranian 'intellectuals' about the benefits of remaining a signatory to the treaty," the fact remained that "Iranian leaders had not discussed withdrawing from the non-proliferation treaty." In fact, by focusing on the potential for Iran to withdraw from the NPT, Mousavian has appealed to the greatest wishes of the Bomb Iran Immediately crowd, who hope for Iran to take actions which can be used to advance the military goals of regime change advocates. Back in early 2007, John Bolton, a long-time and leading proponent of attacking Iran, expressed his frustration that, despite UN sanctions, Iran remained committed to its treaty obligations. On a conference call with members of the Israel lobby group AIPAC, Bolton lamented that, while the Iranian parliament had "passed a resolution in parliament to re-evaluate their relation with the International Atomic Energy Agency, they have not rejected the sanctions resolution." Even more disappointing for Bolton, "they have not done anything more dramatic, such as withdrawing from the nonproliferation treaty, or throwing out inspectors of the International Atomic Energy Agency, which I actually hoped they would do – that that kind of reaction would produce a counter-reaction that actually would be more beneficial to us." The "benefit" Bolton and his ilk sought was an Iranian action that could be construed - regardless of whether it was true or not - as a move toward weaponization of its nuclear program and which would prompt a violent response by the United States or Israel. The withdrawal from the NPT would be just the casus belli Iran hawks are looking for. Hassan Rouhani, who will assume his position as Iran's next president on August 4, has often expressed his desire to see the hysteria over Iran's nuclear program reduced and unfounded fears allayed. Before the election, Rouhani told London-based newspaper Asharq Al-Awsat, "Iran has an exclusively peaceful nuclear program, which under international law is lawful and indisputable. A politically motivated campaign of misinformation has persistently attempted to cast doubts on the exclusively peaceful nature of this program." Rouhani added, "If elected, I will reverse this trend by restoring international confidence and exposing the ulterior motives [of Iran's critics]. Nuclear weapons have no role in Iran's national security doctrine, and therefore Iran has nothing to conceal." In his first official press conference after winning the presidency on June 17, Rouhani stated, "Our nuclear programs of course are completely transparent, but we are ready to show more transparency," adding, "We should build mutual confidence and trust between Iran and other countries. Rouhani also noted that a cessation of the United States' "unilateral" and "bullying policies," Iran would seek to undertake "confidence-building measures" regarding its nuclear program, while maintaining -as Iranian officials have said for years - that the "rights of the Iranian nation, including nuclear rights, need to be recognized." Furthermore, he explained, "We can make it clear to the whole world that the measures and activities of the Islamic Republic are totally within international regulations and mechanisms." Mousavian's Cairo Review article is most likely motivated by a desire to promote the resumption of talks between Iran and the P5+1, a scare-tactic which posits that extreme stubbornness on the past of the United States will inevitably result in reciprocal resistance by Iran. If the U.S. has "all options on the table," well, then, so does Iran. And yes, Western approaches toward Iran surely need a reset, as many commentators - and even some Democratic politicians recently - have been pointing out for some time. It is critical to remember, however, that Mousavian is not articulating actual Iranian policy or saying this move is likely, let alone inevitable. He is speculating on a theoretical possibility. Still, despite his analysis, such a move by Iran would surely result not in more reasonable attitudes and proposals by the West and Israel, but would rather alienate supporters of Iran's nuclear rights, would certainly not serve to "restore international confidence," and would surely hasten the drive for military action. Sanctions, the heavy burden of economic warfare levied against the Iranian people, would surely intensify. Whatever the hypothetical benefits of withdrawing from the NPT might be, doing so would be the political equivalent of cutting off one's nose to spite one's face. By staying within its treaty obligations and appealing to international law, Iran retains the legal high ground in this dispute. And that's not a position the leadership in Iran is likely to relinquish any time soon. July 25, 2013 - On Tuesday July 23, Iran's Deputy Permanent Representative to the United Nations, Gholam Hossein Dehqani, addressed a meeting of the UN Security Council at its headquarters in New York and reiterated Iran's full commitment to its obligations under IAEA Safeguards and to the tenets of the Nuclear Non-Proliferation Treaty. 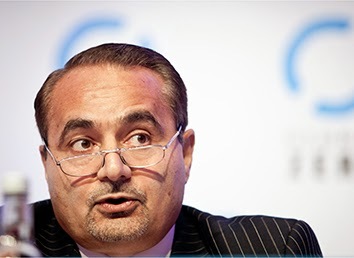 "The nature of Iran's nuclear program is completely peaceful and is fully compatible with the country's international undertakings," Dehqani said, continuing, "In addition to its membership in the NPT, the Islamic Republic of Iran is a member of all (the relevant) international treaty arrangements and is committed to all the undertakings resulting from the (NPT) rules."